Long before Padre Bali began running cattle on the Island this entire area was a favored destination for wealthy ranchers and their families. At first, the little town that stood on the bay was called El Fronton. Some say it got that name from a sheer cliff that extended into the Laguna Madre. It is from this cliff (fronton or wall) that the name was given. gradually changed to La Punta de Isabela or the point of the Santa Isabela Grant. The name stuck for nearly 60 years until a group of developers moved in and began to promote and remake the area. They renamed the town Port Isabel which is the name we know it by today. of an open flat car. Not bad until the train picked up speed and then the belching smoke from the smokestack would billow around these unfortunates. the southern end of the Island. The development was surveyed, platted and filed in the county records. 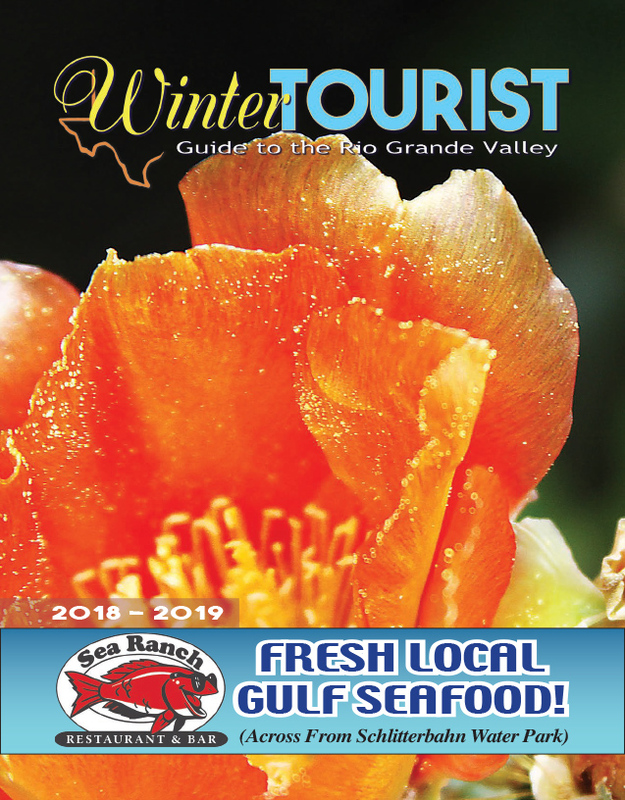 Though the small community failed for the most part, some of the original businesses flourished as a resort area and was used by convalescing soldiers who had traveled to the Valley in response to the turmoil in Mexico. World War 1 gave a strong economic boost to Tarpon Beach. 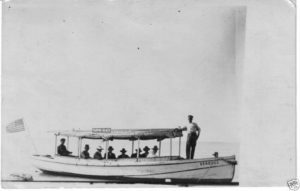 Three brothers named LaRoche arrived and established a ferry service to Padre Island. Seeing opportunity, Brownsville businessmen Don Jesus Vega and Don Jose Lavios both built successful hotels, restaurants and bath houses that operated for many years. In 1926, James A Dickinson and his group of investors built a brand new casino complete with a water toboggan slide. Two fast speedboats were put in service to transport passengers to and from the Island. The Great Depression would put an end to the Dickenson plan. 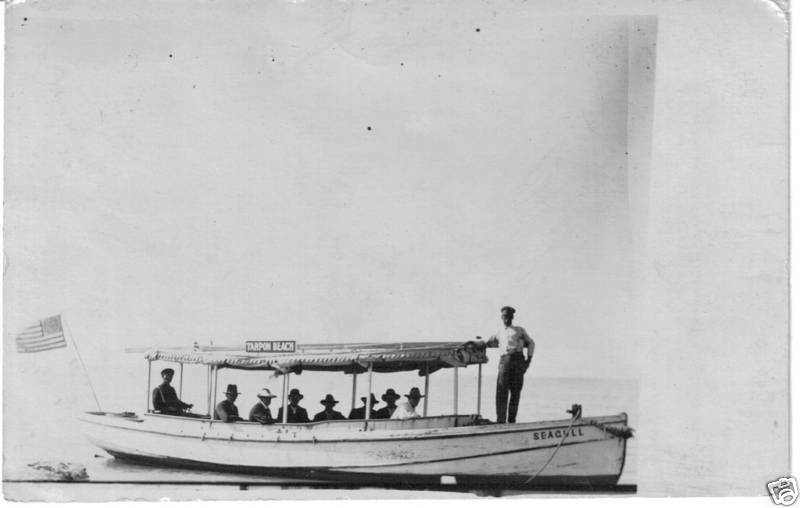 Meanwhile, Colonel Sam’s plan for a ferry service had become reality and in 1926, the Ocean Beach Drive Company began crossing cars from Port Isabel to Padre Island. By taking advantage of the tides, a driver could travel all the way to Corpus Christi. At the same time, a ferry at the northern end began operating. The service would continue until December of 1929 when Colonel Sam would become another of casualty of the collapse of Wall Street. About the time, the ferry was established and a real effort was made to build a causeway. In late 1930-31, a group of Ohio investors teamed up with the Port Isabel Company and began construction on a new causeway. A bulkhead was built at the end of Powers and Maxan Streets that extended into the bay about a city block. However, this project too became a casualty of the Great Depression. Roughly 22 years passed before the first causeway would connect our Island paradise to the mainland. What a place that must have been.